Depending on the county, severe housing problems affect anywhere from 3 to 69 percent of the county’s population, with the most severe housing problems clustered on the East and West coasts, parts of the South and Alaska. Housing has been an issue throughout American history, from urbanization to overcrowding. 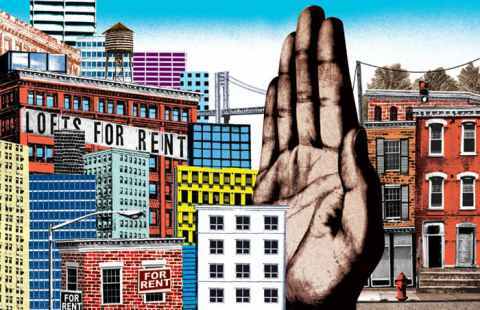 While this article does not provide an exhaustive list or analysis of all of America’s issues related to this topic, gentrification, affordable housing, eviction, and homelessness are all issues that have risen to prominence in recent years. Housing is a basic human right; like every person needs sleep, food, and water, all people need a safe place to live. Gentrification is the migration of wealthy people into low-income or working-class urban communities (Martin & Beck, 2018). While some argue that gentrification improves the living conditions of low-income residents, gentrification forces people to move out of their homes where their families may have been living for generations (Shaw & Hagemans, 2015). Neighborhoods are most likely to gentrify when the median household income and the value of homes in a community fall below the 40th percentile for the city in general, and they are considered to be gentrified when the neighborhood suddenly moves into the city’s top three median incomes and housing values (Edsall, 2015). Gentrification divides cities into rich and poor, areas of advantage or disadvantage. Between 2000 and 2013, incomes in gentrifying neighborhoods increased by 42%, decreasing poverty rates. However, because gentrification displaces low-income, working class residents, these families are forced into low-income neighborhoods to find affordable housing. In these neighborhoods, where there are usually higher rates of crime and lower quality schools, the incomes decreased by 20%, increasing poverty rates (Ding, Hwang, & Divringi, 2016). 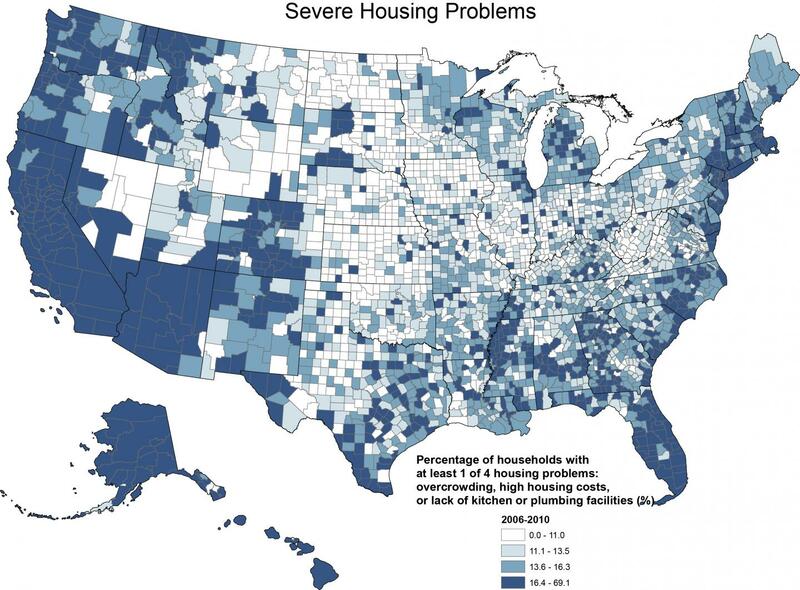 America’s affordable housing crisis affects every county in the country, without exception. Since 2000, rents have increased all over the country, which, in turn, increases the number of families in desperate need of an affordable place to live (Capps, 2015). 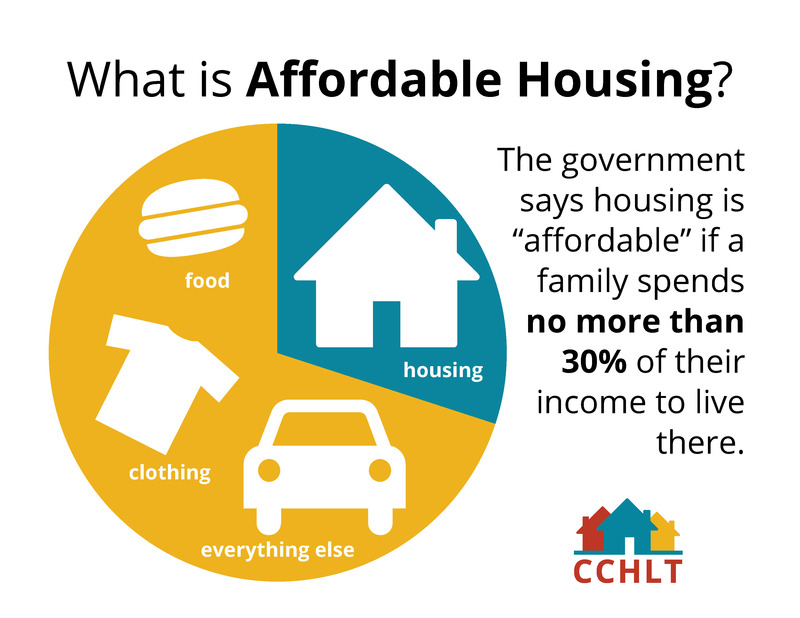 For housing to be affordable, it should not cost more than 30% of a family’s income (Emmons, 2000). In 2013, only 28 of every 100 low-income families could afford their homes, which was a decline of 25% from the previous decade (Capps, 2015). Similarly , 1 in 4 renters are currently paying more than 50% of their income on housing (Kotin, 2013), and America is short more than 5.3 million affordable housing units (Emmons, 2000). Affordable and safe housing needs to be available to everyone because it positively impacts childhood development, individual self-esteem, and family well-being. For housing to be affordable (Emmons, 2000). “America’s affordable-housing stock dropped by 60% from 2010 to 2016,” Tracy Jan, Washington Post. “America’s future depends on the death of the single-family home,” Tanza Loudenback, Business Insider. “Every single county in America is facing an affordable housing crisis,” Kriston Capps, CityLab. Photo: Courtesy of Democracy Now! The lack of stable affordable housing is the foundation of many of America’s social problems, including poverty, homelessness, educational disparities, and health care. The eviction crisis in America is intrinsically tied to housing security because evictions are landlord-initiated, involuntary moves that impact renters. Most evictions are the result of being unable to pay rent, but also can be due to renters taking on boarders, damaging property, causing a disturbance, or breaking the law. However, in most American cities and towns, landlords can initiate “no fault” evictions, or evictions of renters who have neither missed a rent payment nor violated their lease agreement (Eviction Lab, 2018). Evictions disproportionately impact the most vulnerable members of society (Salviati, 2017). Low-income women of color have the highest risk of eviction, and other high-risk groups include domestic violence victims and families with children. Most poor renting families spend at least half of their income on housing costs. Of those, one in four spend over 70% of their income on rent and utilities (Eviction Lab, 2018). In 2016 alone, 2.3 million legal evictions were filed, a rate of four evictions a minute (NPR). Nationwide, 3.7 million renters have experience an eviction in their lifetime (Salviati, 2017). Evictions are a leading cause of homelessness; they uproot households and destabilize both families and communities (Salviati, 2017). Families typically lose their possessions, which can only be reclaimed after paying a fee. Furthermore, legal evictions are accompanied by a court record, which then prevent families from moving into decent, safe housing because many landlords screen for evictions. Evictions also often lead to job loss and negatively impact mental health (Eviction Lab, 2018). Moreover, families experiencing housing insecurity face difficult choices that impact their health and livelihood, such as having to choose between paying rent or paying for basic needs, such as food or transportation. Overall, evictions are most common in areas hit hardest by the foreclosure crisis and in impoverished areas (Salviati, 2017). Wherever there is poverty, there is homelessness. According to the U.S. Department of Health and Human Services, homelessness is defined as “an individual who lacks housing (without regard to whether the individual is a member of a family), including an individual whose primary residence during the night is a supervised public or private facility (e.g., shelters) that provides temporary living accommodations, and an individual who is a resident in transitional housing.” A homeless person is an individual without permanent housing who may live on the streets; stay in a shelter, mission, single room occupancy facilities, abandoned building or vehicle; or in any other unstable or non-permanent situation” [Section 330 of the Public Health Service Act (42 U.S.C., 254b)]. According to the January 2017 point-in-time estimate, there are approximately 553,742 people experiencing homelessness on any given night in America. This represents a rate of 17 people experiencing homelessness for every 10,000 people (National Alliance to End Homelessness, 2018; U.S. Department of Housing and Urban Development, 2017). At the time of the 2017 point-in-time count, approximately 66% of individuals experiencing homelessness lived in shelters or transitional housing, 34% in places not meant for human habitation, including abandoned buildings or on the street. 66.7% of people experiencing homelessness were single individuals, 33.3% were families with children. 7.2% of the total count were veterans, and 7.4% were unaccompanied children and young adults. Between 2016 and 2017, homelessness rose nationally by 0.7%, with the largest increases among unaccompanied children and young adults (14.3% increase), individuals experiencing chronic homelessness (12.2% increase), and people experiencing unsheltered homelessness (9.4% increase). 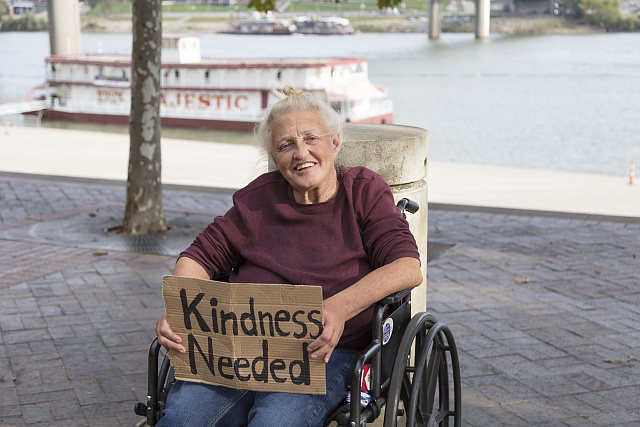 Families experiencing homelessness decreased by 5.2% (National Alliance to End Homelessness, 2018; U.S. Department of Housing and Urban Development, 2017). 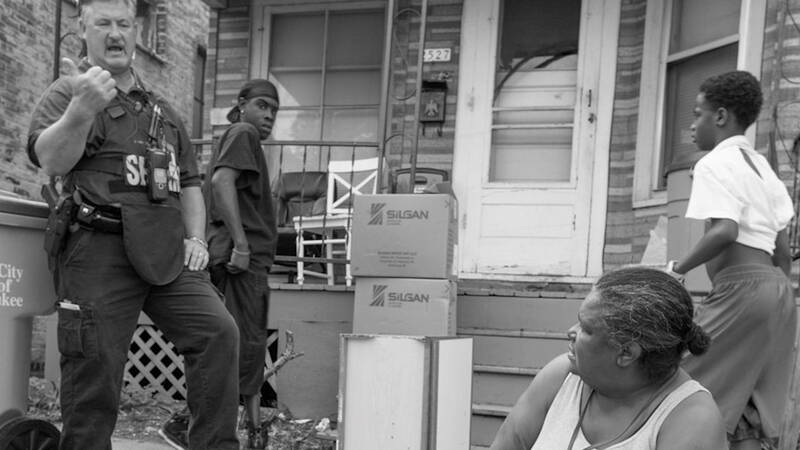 “SHELTER,” Full Length Documentary, VICE. The 2017 Annual Homeless Assessment Report (AHAR) to Congress, HUD.